Not all of these fabrics made it into the quilt (second, fourth and fifth from left were culled) and lots more stash fabrics were added as I went along. In the end, I used just over 60 different fabrics. My camera really doesn't like the colour of my carpet - it seems to make it bleach all the colour out of the thing(s) I'm photographing! Each hexagon was labelled with a number (I used a hexy map to keep me right!) and once a hexagon was surrounded, the label was removed. 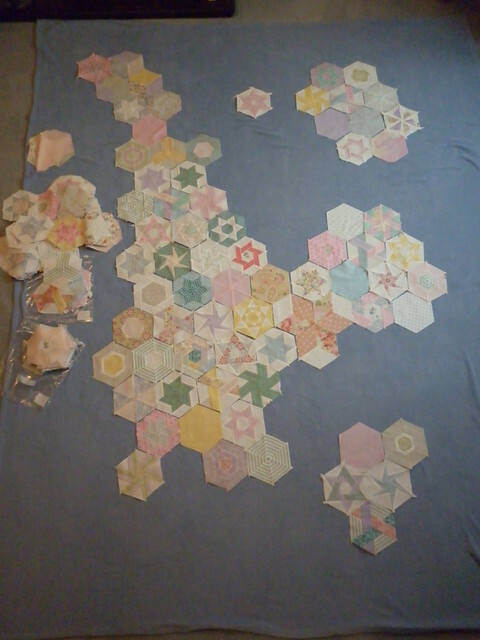 Quite a while later, the quilt was tacked and ready for hand quilting, I just needed to decide on a quilting design. 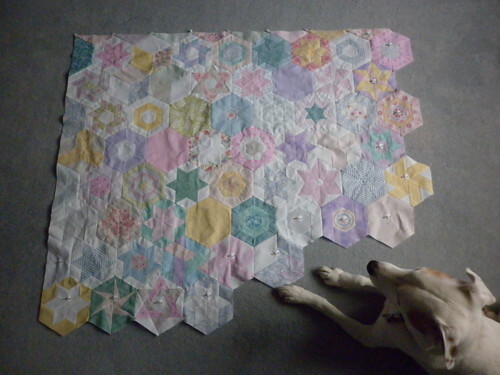 I knew I wanted it to be fairly simple, and I also knew I didn't want to have to go through the centres of the hexagons as some of them had twelve seams meeting which would make life difficult. In the end, I decided on straight lines in a white Gutermann Sulky 30wt thread (thread weight/brand chosen after some testing). Progress was slow because some of the seams were difficult to hand quilt through; in the end I stab stitched through them and then did my normal 'rocking' stitch through the rest (I hand quilt in a hoop, using two thimbles - one on the top and one underneath). I'm so glad I stuck with the hand quilting, though, as it gives a much softer look to the quilt than machine quilting would have done. I ripped off all the binding bar the one good corner and re-attached it the next afternoon. 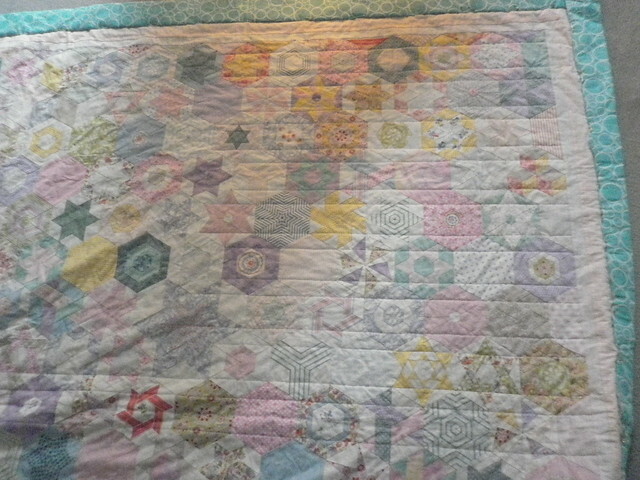 A couple of days after that, the quilt was finally finished! And with much better corners! 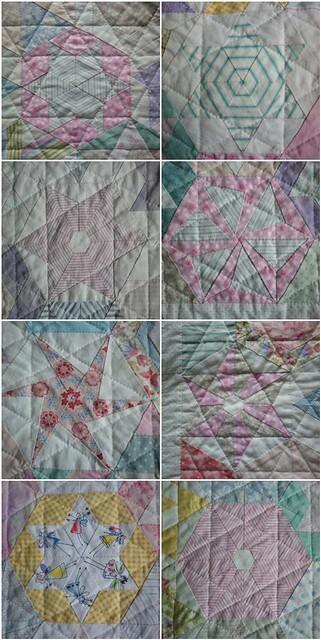 Design: various traditional blocks as well as designs/inspiration from Lynne Goldsworthy and Gayle Brindley. 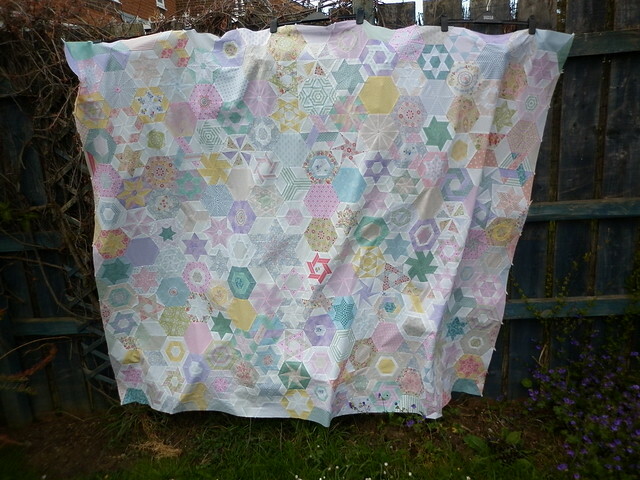 Information about the quilt which inspired the Hexalong can be found here. I'll be linking up with Adrianne when the time comes - you can find my Q4 2015 FAL list here. His tummy bottom still isn't right but I'm changing his food from teatime tonight and I'm hoping that's going to help - he's moving to a food designed for 'senior' dogs (which is for dogs over seven - I wonder if they do a 'senior senior' food?!) with sensitive tummies/digestion. If that doesn't help then it's back to the vet (again!) to see if he needs some tummy protectors and/or a 'medical' dog food. Please cross your fingers that the new food works! 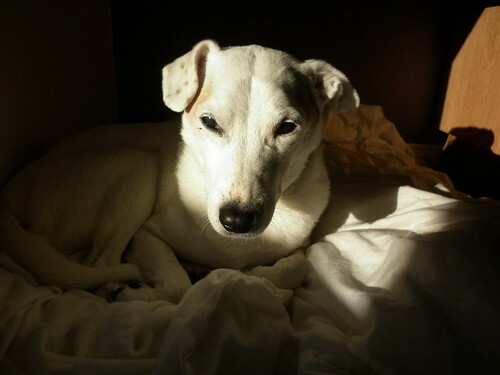 He's fine in himself, though - still keen on food, fusses and walks, just as he always has been. He's definitely a 'glass half full' dog! What an absolutely beautiful quilt! 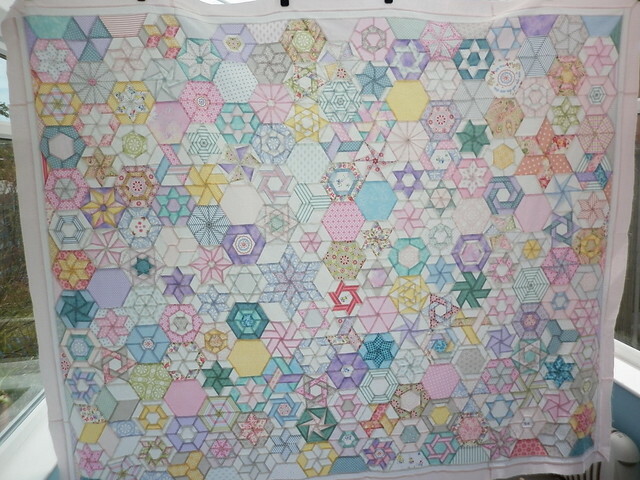 I love the colours and all the different hexies! Wow! It's gorgeous! Well worth the hard work - a real heirloom. Please give Archie a little tummy rub from me, next time he's lying on his back. A really beautiful piece of work. 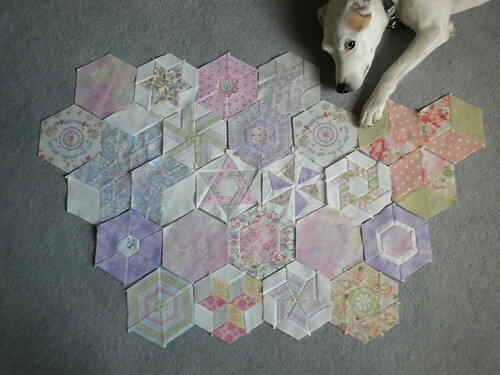 I love all the different forms of the hexies, the clever way you've varied the low value colour scheme, and the meticulous attention to detail - I'm not sure I'd have had the courage to rip those corners out when I was so close to finishing! Well done, and congratulations. Thank you! 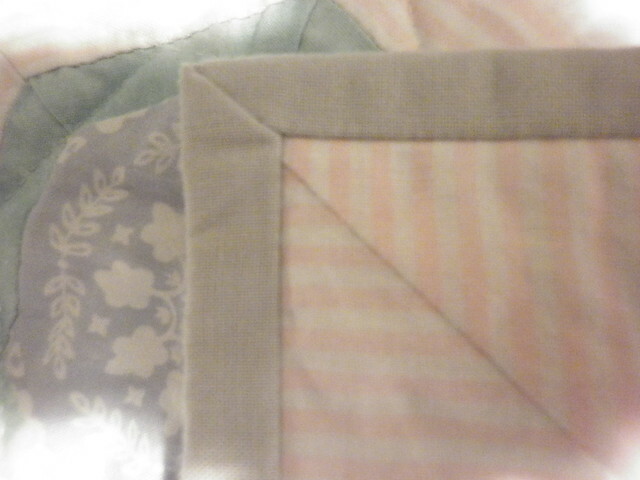 I had to rip the binding off when I saw those corners, they were so dreadful that they couldn't stay like that! Such a masterpiece in patience. You must be so glad it's finally done. Was it really 2011 when we started the QAL?? I am so glad I dropped in to see your finished quilt, it's absolutely beautiful, you have such patience. Epic achievement - it looks beautiful and you are such a hero redoing the corners. Hope Archie is better soon. Love your quilt! 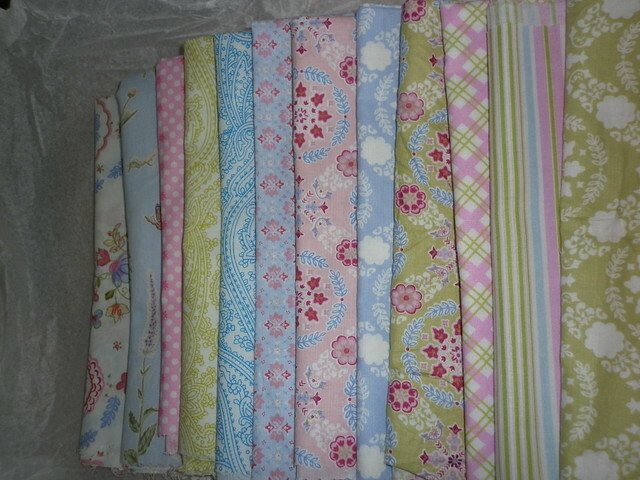 My hex-a-long quilt is sat in a basket of other WIP's that I can't face! I fell out of love with it. 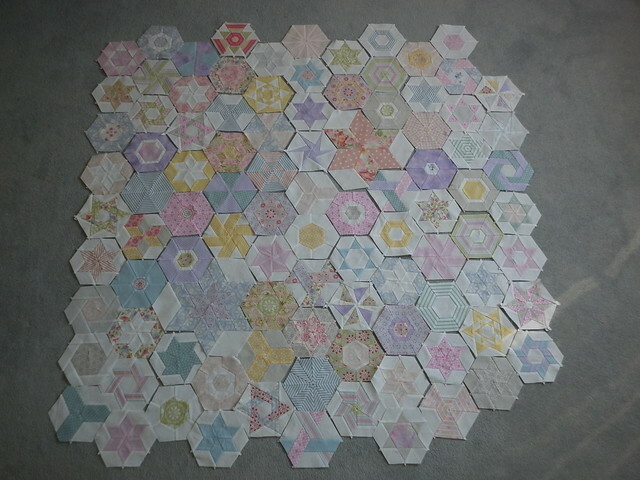 Despite doing massive hexies they took far more time to sew together than when I did a quilt comprised entirely of 1" hexies. 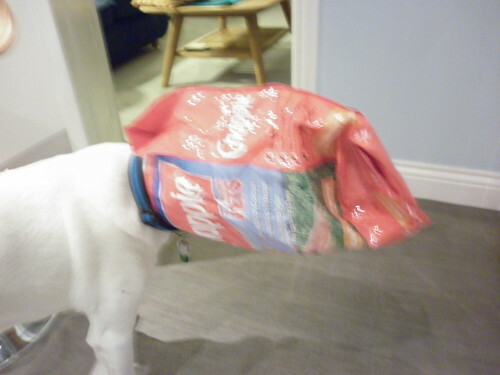 Hope Archie's senior dog food issues get sorted soon. OK . . . Stick the kettle on . . I am coming to see that gorgeous creation up close and personal! OK Dont stick it on too soon! Helen . . this is so beautiful. Congratulations on seeing it through to the end. What a treasure. Archie is such a silly duffer. . . . he could have some of my "Senior" medication for tummies, maybe. Fantastic and a marathon effort. 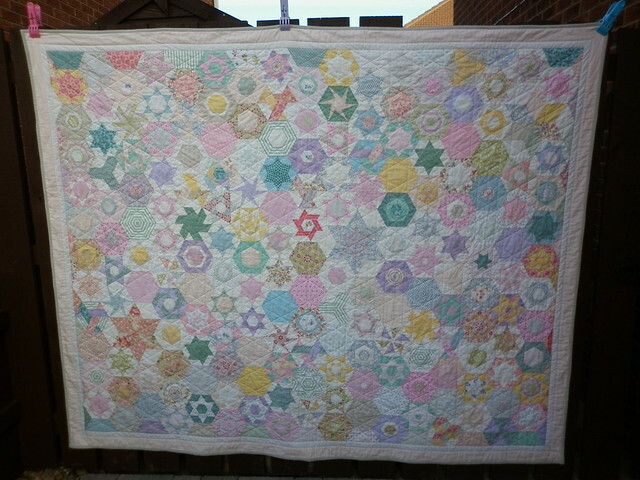 I love how you mixed in the larger star hexie designs and what a great idea to lay it out on a fleece so you can put it back down again. Genius. 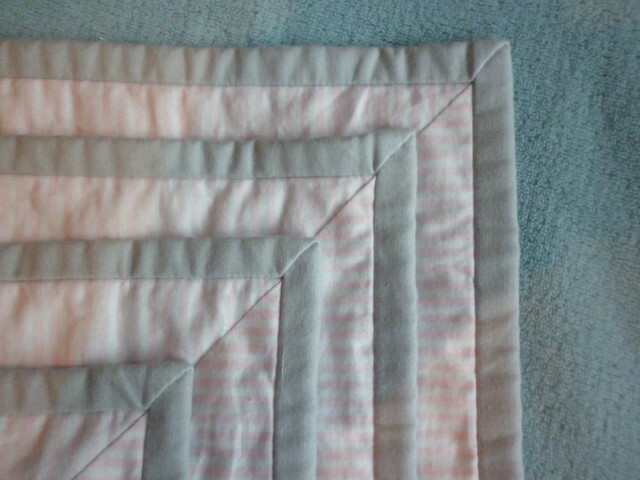 I too prefer hand piecing to epp, it gives the blocks a certain softness. What a beautiful quilt! You should be very proud of yourself for sticking with it over the years and bringing it to a glorious conclusion! What a fabulous quilt! I love following your quilting news but have to admit to being just as interested in how Archie is doing. I love his pictures and the comments you write under them. Love your sense of humor! 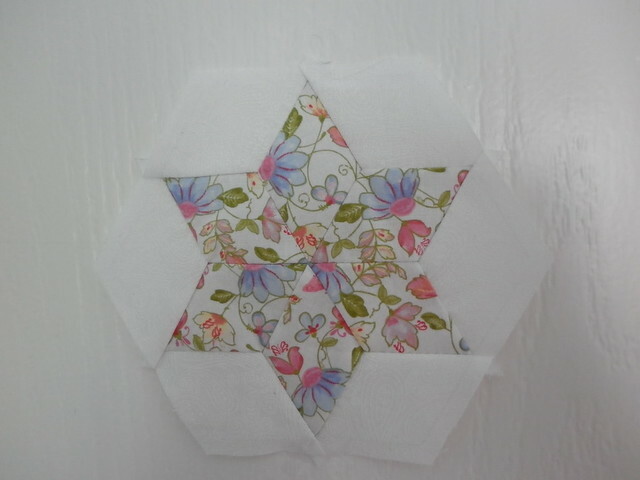 I love your hexie quilt, hand sewing is so relaxing. I hope Archie finds a food to suit his tummy. An impressive piece of work - it looks AMAZING! Well done! This quilt is stunning and I'm sorry I missed your post when it first went up as I recall when you started this quilt and some of the steps long the way. Now I'm visiting as a member of the official 2015 Finish-Along cheerleading squad.